Simply, trashion = trash + fashion. 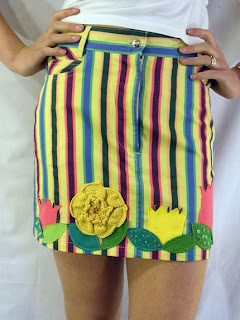 So, trashion is meant to imply that things made from recycled objects don't need to be lacking in style. While anyone can browse a vintage or thrift store, someone interested in trashion might also delve into free boxes, piles, of discards destined for the dump, and other more unconventional sources for potential artistic inspiration. 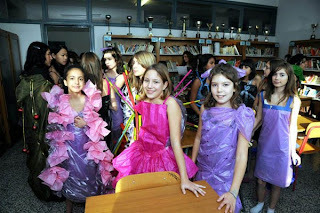 Trashion is a word which is used to refer to objects and garments produced from discarded, unwanted, and leftover items. Trashion encompasses everything from home décor to garments, and public interest in trashion started exploding in the late 1990s, when being environmentally ethical while staying chic started to come into style. People believe that by re-using unwanted items, they are both benefiting the environment and the items themselves, by giving such items a new purpose in life. One of the great things about trashion is that it is accessible to anyone who is feeling creative and resourceful, unlike traditional fashion, which tends to be costly and elitist. Trashion is also unique; someone who wears a trashion gown to a function, for example, can be confident that no one else will be wearing the same outfit. The unique flavor of trashion is also its appeal, as each piece is intrinsically distinct and quirky. Trashion design can encompass a wide variety of home goods, from tables to vases, jewelry, and clothing. 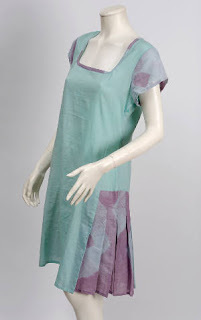 Trashion clothing often involves custom sewing, integrating several sources of discarded textile materials in designs which can vary widely, from sleek and hip to more casual and laid-back, and fashionable. Here are some trashion clothing I found at Etsy. They are made from only second hand garments, to make both the public and students aware of the value of recycled fabrics…the final outfits were so cutting edge! And ..... also from plastic bags and , during a fair focused on clean energies in agriculture. Others of them in this blog can be found here.